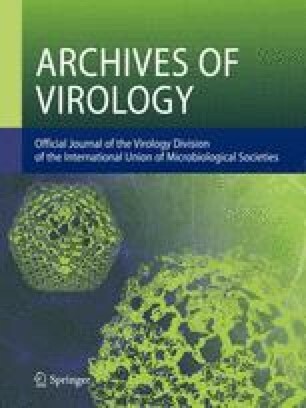 In order to differentiate recent isolates of avian infectious bronchitis virus (IBV) in Taiwan, polymerase chain reaction (PCR), restriction fragment length polymorphism (RFLP), and direct sequencing methods were used to type 25 IBV Taiwan isolates. Two conserved sequences that flank the hypervariable region I (HVR I) in the N-terminus of S1 protein gene were chosen as primers. Sequences of 228–231 base pairs (bp) were amplified by PCR from 25 Taiwan isolates and 4 reference strains (H120, Conn, JMK, Holte). PCR products were digested with 5 restriction endonucleases,BsoFI,DdeI,MboII,AluI,RsaI, and different IBV isolates were grouped according to their RFLP patterns. The RFLP patterns of the 4 reference strains in this study matched the published sequences in GenBank. Except 1 vaccine strain, the other 24 Taiwan isolates were different from these 4 and 18 other IBV strains whose sequences were published. The data from PCR-RFLP and sequencing of IBV genomes showed that the 24 Taiwan isolates can be divided into 2 distinct groups, I and II. Seven RFLP patterns are identified in group I and only 1 in group II.